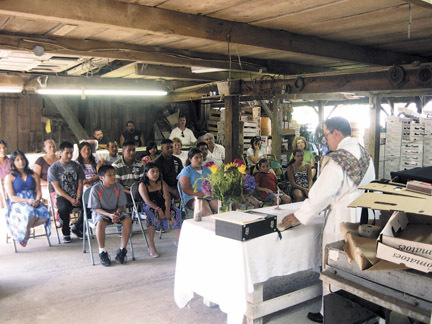 Father Jorge Osio Lopez, a Mexican priest who is assisting in the Diocese of Camden this summer, celebrates Mass for farmworkers in a barn at the Indian Run Farm in Pilesgrove. Seminarians in the Camden Diocese, as they approach their ordination, are assigned summer pastoral assignments. 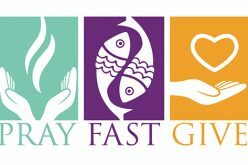 This is a wonderful opportunity to live in a rectory and, most importantly, become involved in the day to day life of a parish community. 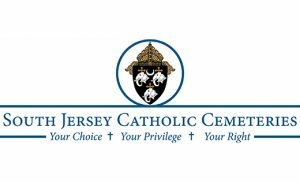 This summer I was assigned to St. Clare of Assisi Parish in Gloucester County. It has been a wonderful summer experience. 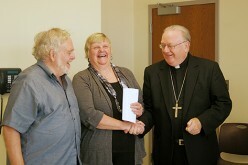 Our pastor, Father Dave Grover, allowed me to be involved in almost every aspect of parish life. 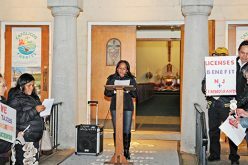 Assisting at Mass, offering reflections on the readings, teaching in the school and religious education program, visiting the sick and homebound and attending parish council and staff meetings were some of my duties. Another ministry I took part in was ministering to the farmworker community. Bishop Joseph Galante has made ministering to the farmworker community a priority in the summer months. Every summer Spanish speaking priests are brought into the diocese to minister to farmworkers, the majority of whom are Spanish speaking. 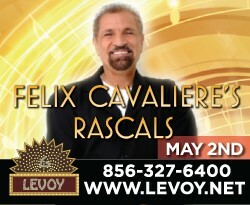 In Gloucester and Salem counties Father René Canales is leading this ministry. Father Jorge Osio Lopez, a Mexican priest currently studying in Rome, was brought in to assist. 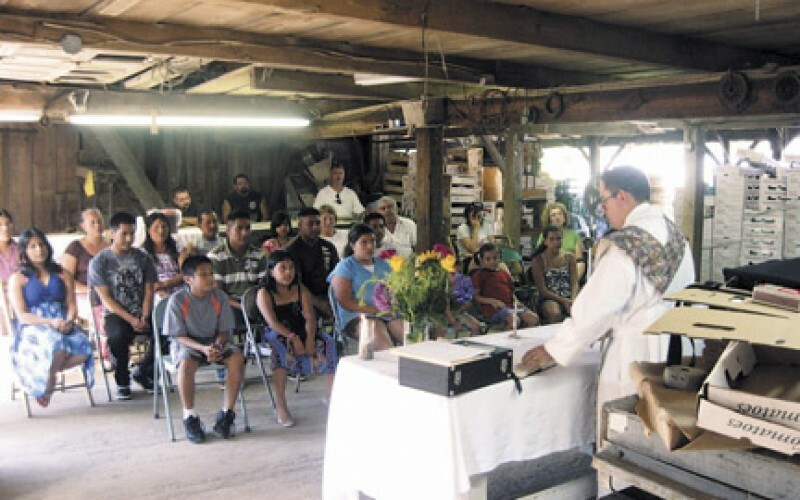 Three other priests from Mexico are assisting farmworkers in other South Jersey counties. Lay ministers are eagerly volunteering to help with the ministry. The church is indeed alive, evangelizing and bringing the Good News of Jesus to the workers on the farms and in the fields. I met a local farming family, Mario and Catherine Caltabiano, owners of Indian Run Farm in Pilesgrove. I mentioned to Mario that I would like to work in the fields with the farmworkers one day picking crops. I wanted to experience firsthand what the work was like. Mario gladly obliged and promised a cold beer at the end of the day. I spent six hours picking squash, eggplant and lots and lots of tomatoes. To tell the truth I think my back still hurts. I never saw so many tomatoes. It was quite beautiful. I was born and raised in Philadelphia, a city boy, and always thought tomatoes came from the local Shop Rite. I know better now. It is hard work in the fields and I am grateful for the labor that is the source of our bountiful supermarkets. Blessed John Paul II praised the dignity of agricultural work in his Encyclical Laborem Exercens. I appreciate that reality now more than ever. I learned much from the men and woman I worked with, not only about farming but about faith and ministry. The men and women were very kind, eager to share with me their water on the hot day as well as gloves to protect my hands and fingers. What I was especially impressed with, however, was the mutual gratitude that the farmowners and workers had toward each other on this particular farm. Mario was quick to point out on several occasions how hard the men and women work and that his farm could not survive without the workers in the field. The workers were equally quick to point out how fair and kind Mario and Catherine are and how they are treated like family. It was a lesson on how we all depend on each other, both in society at large and in the church. Giving and receiving the gifts we offer to each other. I learned that ministry is not a one way street but a communal and mutual experience. We minister as we ourselves are ministered to. The late spiritual writer Henri Nouwen wrote that mutuality in ministry can be characterized by two words: gratitude and compassion. I found that on the farm. Mass was celebrated on the farm with the farm owners and the workers and their families all present. I could sense the reality of the Body of Christ present in the Eucharist and in all those gathered. Amidst the muscle aches and sun burned faces was a sense of gratitude and thanksgiving. 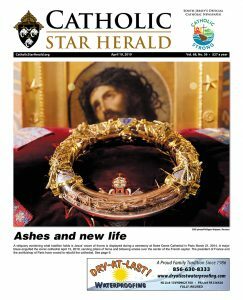 It was good to be here, with our Eucharistic Lord and with each other. The Body of Christ made present on a farm in South Jersey. Vincent G. Guest, Esq. 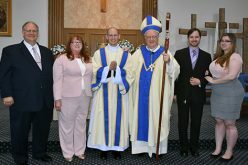 is a seminarian for the Diocese of Camden. 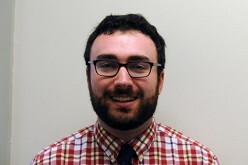 He is a IV Year Theology student at Theological College at The Catholic University of America in Washington, D.C.